More than a thousand Iraqis died and over two thousand were injured in outbreaks of violence across Iraq in May, according to a UN body. It’s the highest monthly death toll in the country since 2008. 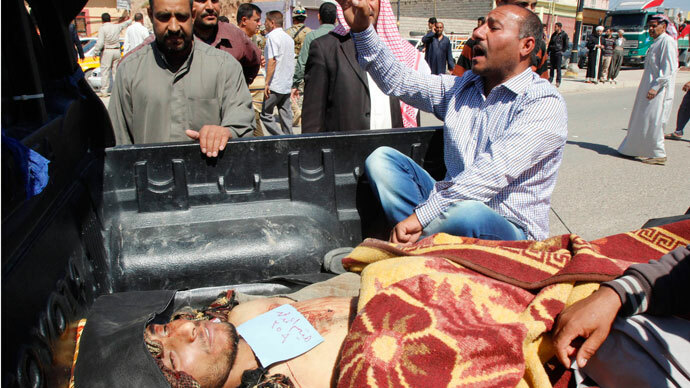 One thousand and forty-five Iraqis were killed in May, according to estimates released by the United Nations Assistance Mission for Iraq (UNAMI). Eighty-two of those were members of the Iraqi Security Forces, with the bulk of the casualties registered among civilians. 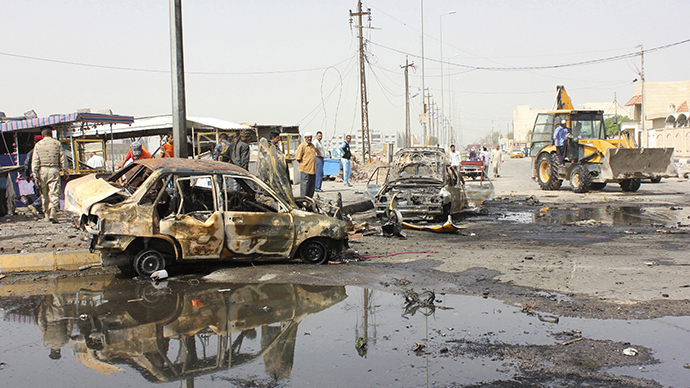 The capital Baghdad was most affected by acts of violence, with homemade explosives, car blasts and suicide bombings responsible for the vast majority of deaths. 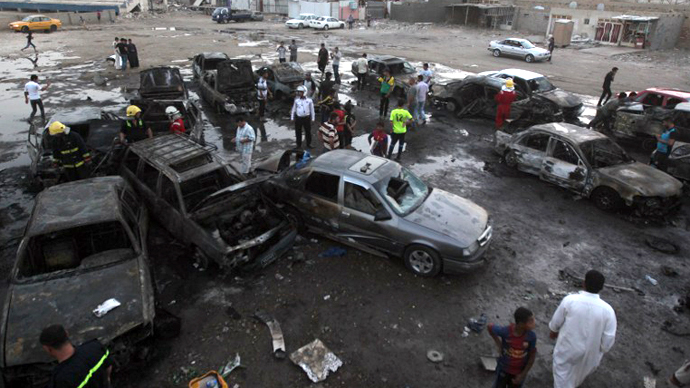 The terror attacks were carried out in both Shiite and Sunni neighborhoods. The UNAMI death toll figure for May is far higher than the April 700 casualties, which previously were described as the record-breaking figure since the country’s sectarian violence spike of 2006-2007. The escalating death toll sparks fears that sectarian unrest in the country might be turning into a civil war. “That is a sad record. Iraqi political leaders must act immediately to stop this intolerable bloodshed,” said Martin Kobler, the Special Representative of the United Nations Secretary-General (SRSG) for Iraq. 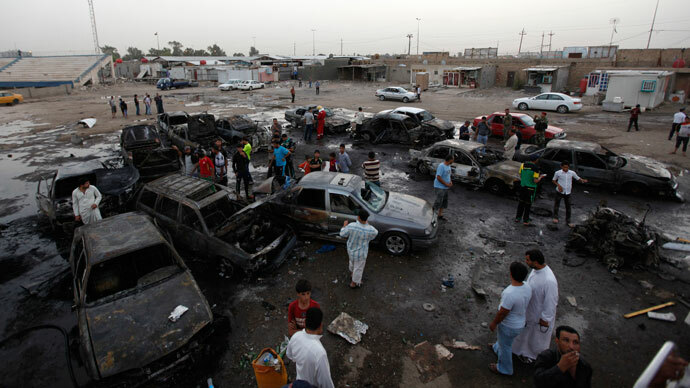 The day before the UN figures were released, the Baghdad authorities banned temporary license plates on cars in an attempt to avert car bombings, the cause for much of the casualties in the recent outbreaks of violence. The cars with temporary black plates have quite often been used for attacks, as they are more difficult to trace. The recent escalation in violence is seen as instigated by the late April crackdown on the Sunni protesters by security forces, controlled by the Shiite-dominated government. Political analyst Chris Bambery, who warned in April the number of casualties in Iraq would only rise in the near future, lays the blame for growing sectarian unrest in the region on the US decision to separate Iraq into Kurdish, Shiite and Sunni areas. “It is based on the decision by the Americans when they occupied Iraq to separate Iraq off into these three areas. 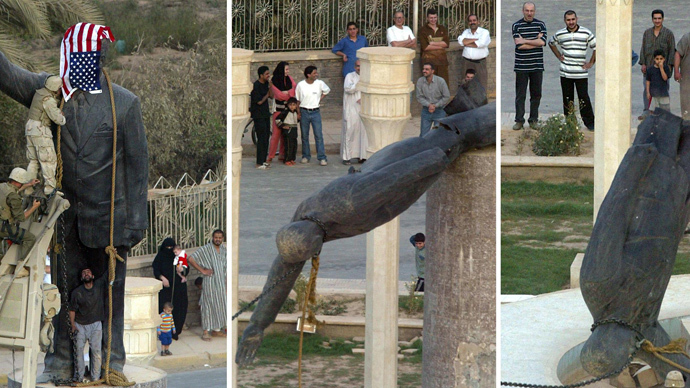 Iraq has been a unified country for a long time. And yet doing so based on the sectarian headcount by dividing the country up, particularly be excluding the Sunni from having any control of the oil fields was a recipe of the sectarian conflict. And that’s what we’ve seen,” Bambery told RT. Ten years after the US announced its victory in the war with Iraq, the country is immersed in violence. The withdrawal of US troops in 2011 saw sectarian tension between Sunnis and Shiites escalate. What now contributes to the instability in the region is the Syrian conflict, as “Iraq is becoming very intertwined with what is going on in Syria with almost an open border between the two countries there,” according to the analyst. Not long after the casualty figures were released, Iraq’s Defense Ministry announced that it captured an alleged Al-Qaeda cell, which attempted to produce chemical weapons such as mustard gas. "There are some confessions about organized cells to smuggle them [weapons] outside Iraq through a neighboring country in order to target Europe, America and different capitals," said Mohammed Askari, a Defense Ministry spokesman, as cited by Reuters. Journalists were shown bottles containing chemicals, some laboratory equipment and also toy remote-controlled helicopters, which according to officials could be used to distribute gas. Three men dressed in yellow jumpsuits, their faces masked, were presented to reporters as suspects. The announcement comes amid an ongoing investigation into alleged use of chemical weapons in neighboring Syria.